Over the years, there's been a shift towards website builds using prebuilt templates that can be customized by a designer and then updated by the client or their in-house Marketing Director. More small business owners are using this option, so I've become highly skilled with a few of the popular platforms, such as WordPress, Weebly, and SquareSpace. SEO implementation is available, and includes testing search terms, assessing initial site ranking, applying Google and Bing best practices. Suggesting page titles, URLs, headline writing, search descriptions for each page, and adding other search tags. Search results are monitored through Webmaster tools to measure ranking improvements over time. 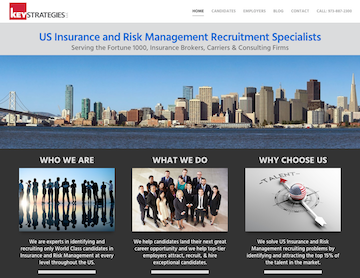 New WordPress site for an industry-leading Insurance and Risk Management Recruitment company. The client's firs site was in dire need of rebranding on all levels. Jim Colao worked closely with the copywriter to help streamline the content flow and improve SEO. The client had several specific needs and preferences, such as using only photos to describe his brand, and using scheduling forms that are anchor-linked in multiple places. The client reports that within 3 months of the new site launch, his typical search queries for companies like his, took him from bottom of page 2 results to top of page 1 results, ahead of his main competitor. Customized WordPress template for Certified Professional Career Coach who needed a Design Doctor and Brand Energizer for her existing site. Marketing was strengthened with the addition of targeted affirmations and copy additions that tied the emotive content of photos to key words. Jim Colao wrote the tag line "Prepare to Get Hired" which aptly and concisely states the services being offered and the end-goal for the company's clients. The client reports that she continues to get more clients from web searches than ever before and has seen a dramatic increase in business in the 2 years since the rebranded site was launched. Customized template for a Commercial Rep. who wanted to project a fun, outgoing, casualness amidst the high pressure, big bucks world of commercial content production. 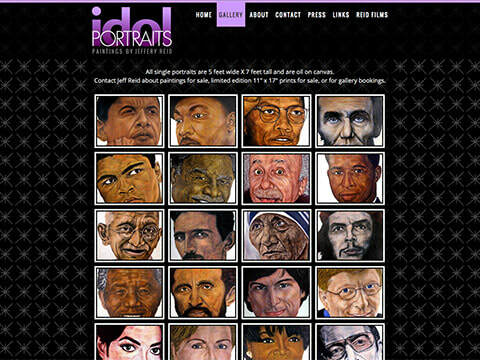 Includes copy development, photo optimization, logo design and art direction. 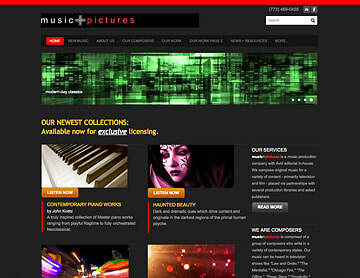 Customized template for a music library company. The client received phone support on how to make basic changes within the design parameters Jim Colao defined, since the client wanted to make his own monthly updates to his product line. Customized template for a small music production partnership that offers custom music scores and ready-to-use music library tracks. 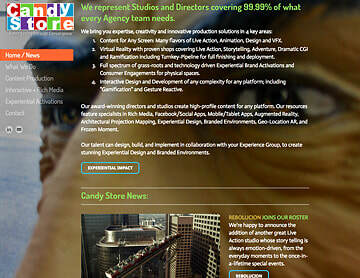 Includes copy development, media optimization, and art direction.